You want your home to look beautiful. But, it is as important that it be able to stand up to the elements and keep looking beautiful for years to come. That’s why vinyl siding may be a good choice for your home. Keep reading to learn more, then come by the showroom, or give us a call to schedule a no-cost consultation. Vinyl siding is the most popular siding in use today, for good reason. It is tough to beat on all fronts including durability, beauty and sustainability. The first reason vinyl is so popular is its affordability. In terms of material costs, it is almost impossible to find a better deal. And, when it comes to installation costs, nothing beats vinyl. It goes up very quickly and is extremely lightweight, so in most cases, no special equipment is needed. 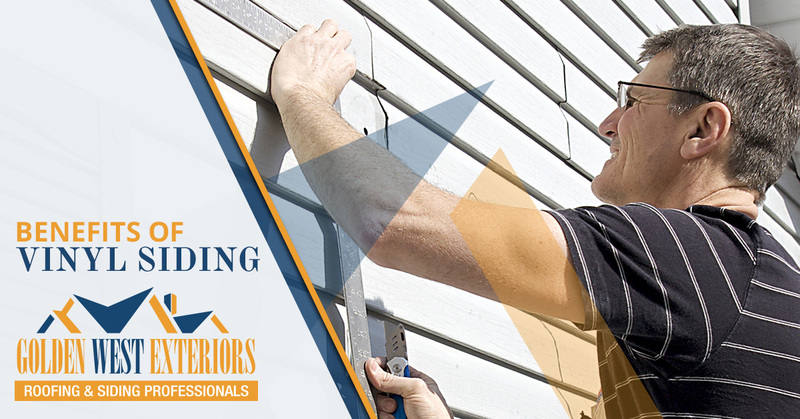 But, it is still important to work with a responsible, experienced siding contractor. Vinyl siding is not something you should attempt to take on as a DIY project. Vinyl has come a very long way from what it was in the 1950s. The colors, textures and architectural style available today are as modern and luxurious as any other siding material. It is fade-resistant and stands up very well to Mother Nature. You can get the look of wood without the maintenance problems that can come with wood. And, vinyl is more environmentally friendly. You don’t need paint or caulk, and you don’t have to refinish it – ever! And most manufacturers recycle any vinyl scraps from the manufacturing process, some recycle up to 95 percent of their scrap vinyl. You can’t get much more versatile than vinyl. The Vinyl Siding Institute has actually certified more than 350 colors of vinyl siding for UV resistance. Additionally, it can be installed horizontally or vertically, and in a wide variety of patterns. Vinyl siding may or may not be the right choice for you. But you shouldn’t rule it out until you’ve done all of your research. A good siding contractor will work hard to understand your priorities and needs, including your budget, and will walk you through all of your siding options so you understand pros-and cons of each. We’d like to do that for you. If you want new vinyl siding, or if you are undecided about what the right choice is for you, give us a call, or visit our showroom in Edmonton. We’ve got every type of siding and roofing material you could want. We can show you samples and work with you to help you make the absolute best decision for your home and your family. See you soon!